The Continental Contact Plus City Reflex Tire is robust, specifically designed for urban and e-bikes. Its casing is highly elastic, providing low rolling resistance without skimping on comfort that in turn increases battery efficiency. Featuring ample puncture, slash, and tear resistance, the Contact Plus City Reflex is sure to achieve a high-mileage, perfect for city riding. 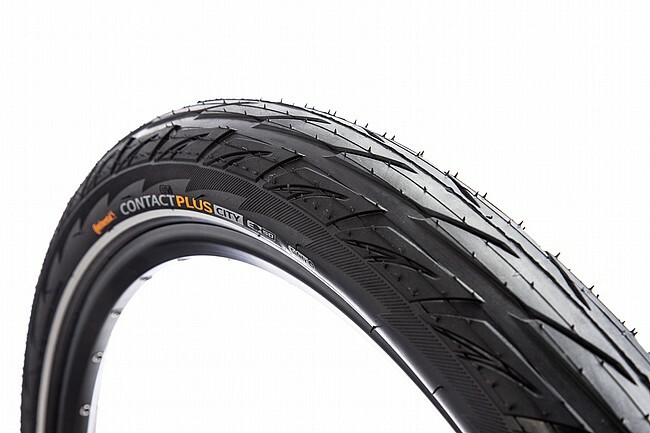 The Continental Contact Plus City Reflex Tire is available in three widths: 37mm, 42mm, or 47mm. Also available for 26" tires.